Finely grate lemon and orange zest and split and scrape the vanilla bean. Add almond milk to a small bowl and set aside. In a large bowl, combine cotton cheese, vanilla, orange zest, lemon zest, and cinnamon and mix until combined. Add almond milk, adding more if necessary to reach desired texture. 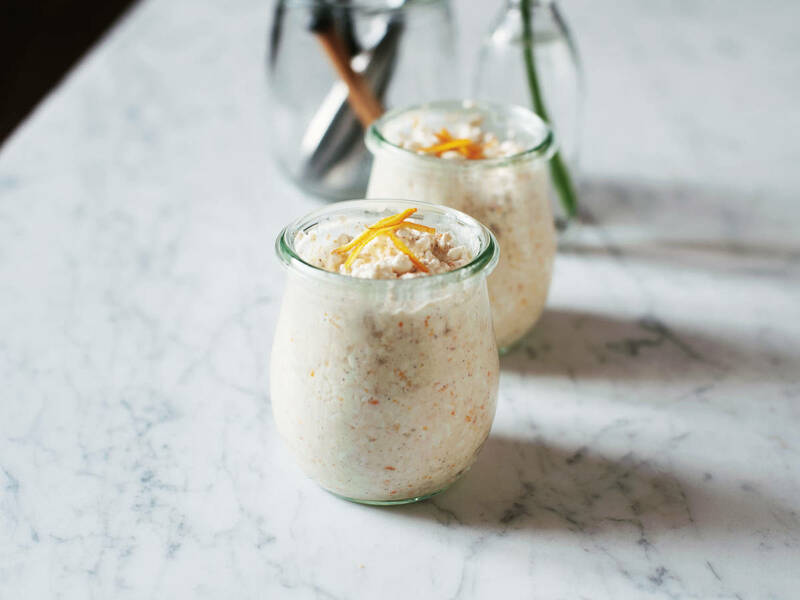 Sweeten the rice pudding with stevia. Transfer bowl to refrigerator and let rest for approx. 30 min. Garnish the pudding with additional orange or lemon peel, if desired. Enjoy!